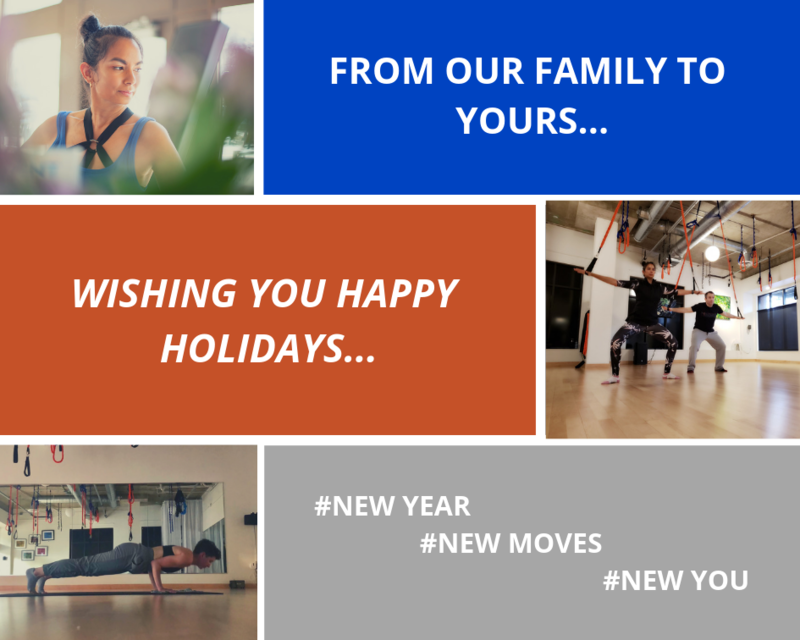 We’d like to take this time to wish all of our Movers a Happy Holiday…whatever you celebrate…Thanksgiving, Black Friday or maybe even Cyber Monday (hey, no judgements!) and thank you for deciding to Move with us. Regardless of whether you’re new or you’ve been with us since we started, thanks for deciding to spend your free time with The Resistance Movement crew! Keep reading to find out about our deals and steals, our gift to you and our New Years Day festivities. Trust us, there is something for everyone. 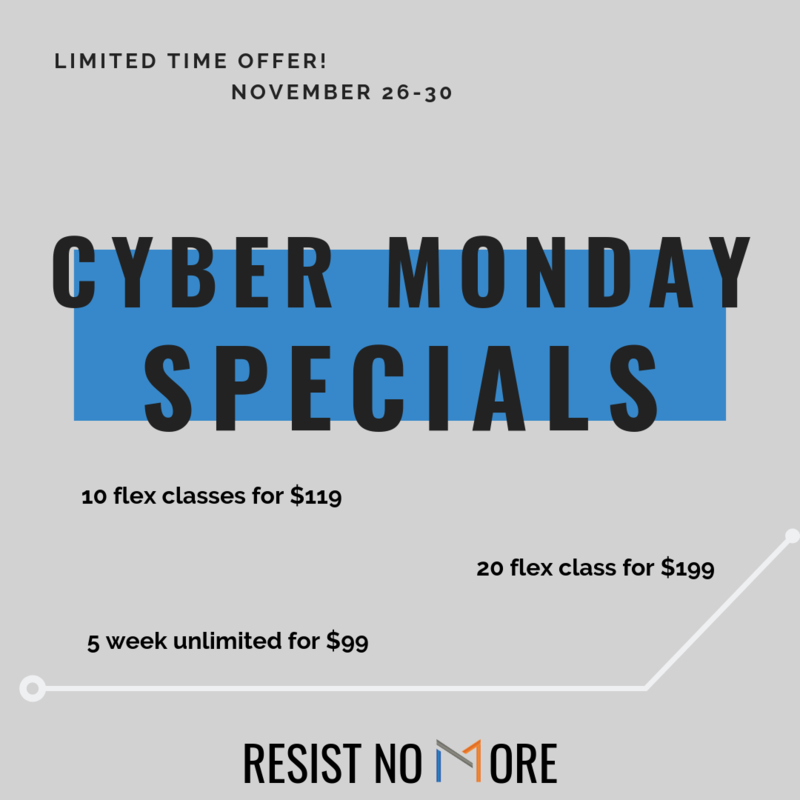 Cyber Monday is HERE!!! We know, you’re inundated with emails about everything from flat screen TVs to clothes to things you didn’t even know you signed up for!! The difference between this email and those is that we’re awesome (of course! ), but also because this is an investment in yourself. 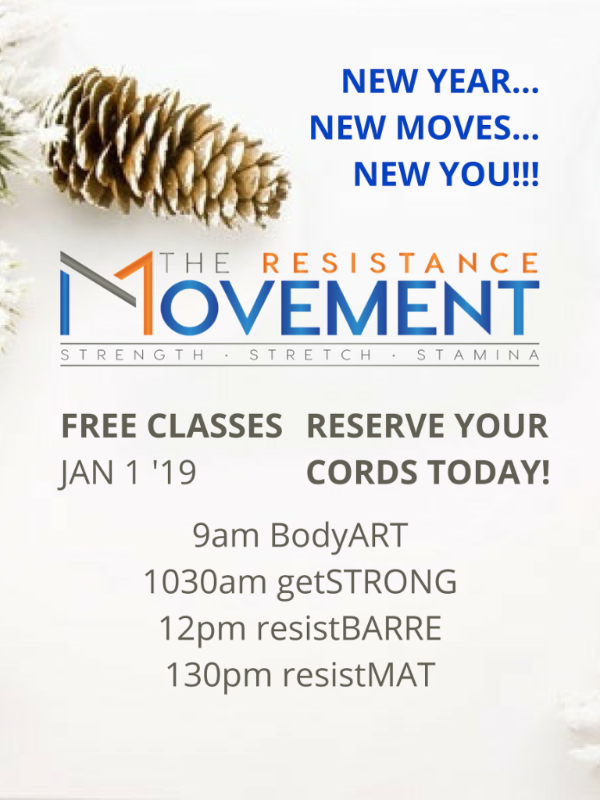 Whatever your goal, respite from the crazy holidays/family, getting a jump on your New Year’s Resolution (or trying to resurrect your last New Year’s resolution…no judgement), or just trying to maintain an active and fit lifestyle, we’ve got something for everyone! 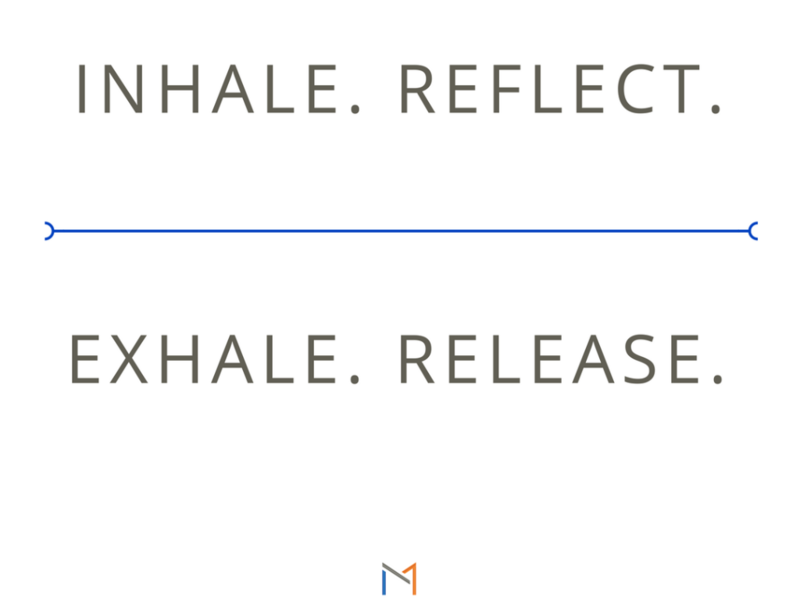 This year is going to be our best ever…with new class formats, new twists on your favorite classes, retreats and workshops, so don’t miss out. Whether you need to top up your account or you’ve been stalking out website trying to find the best time to buy a package…well, now is the time!! We understand life happens and you can’t finish all of your classes…or maybe you forgot! 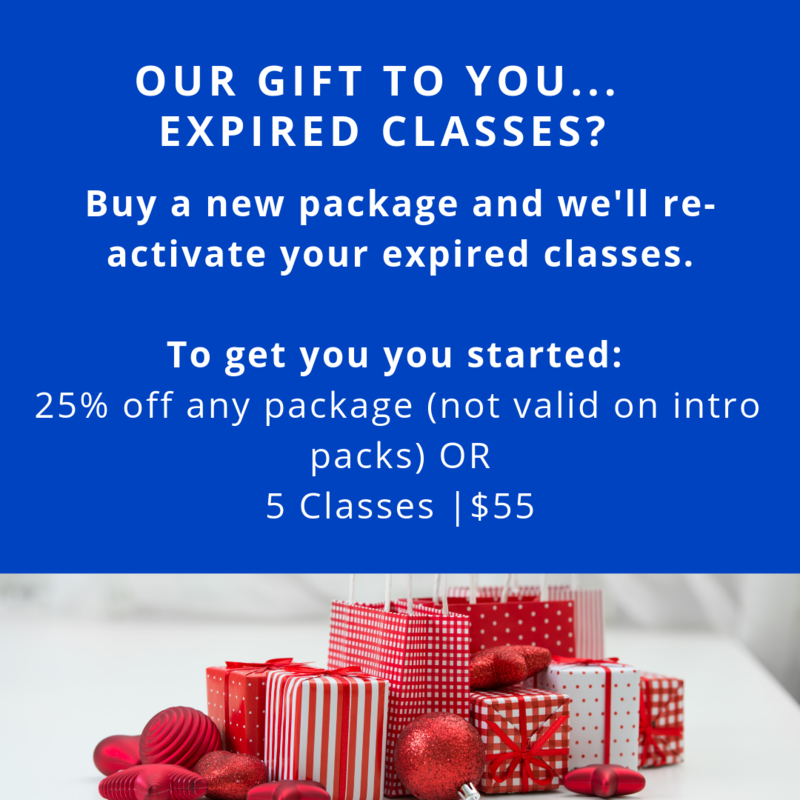 We do our best to inform you of your package expiration dates…we post it in-studio and online, we send you 3 reminder emails, and last but not least, you can ask us or view it for yourself any time in your Mindbody account. We are happy to help you with any questions or issues!! We want to thank you for being good clients, so we’re giving you the opportunity to re-activate any of your expired classes from the last year. To reactivate your expired classes, you must purchase a new package and we’ll add the expired classes back to your account. Applies to any package (besides an intro pack or Groupon). Purchase must be made before December 31. *Email us for the discount code. There is no better gift than the gift of Movement. Let’s be serious…do your friends need another ugly sweater or more Bath & Bodyworks products to add to their collection from last year and the year before. If they’re anything like me, their bathroom cabinet is bursting at the seams. Do you have a hard time surprising your partner? Well, bring them to class. Make it an event, work out together then go get brunch! Here’s the best part: Purchase a gift certificate for over $40 and we’ll GIFT YOU a pair of ToeSox OR a FREE class. What’s better than giving and getting something back in return! Start 2019 off right by celecbrating with us! Don’t worry…it’s a healthy party. We LOVE that you all LOVE us. Please help us spread the word! 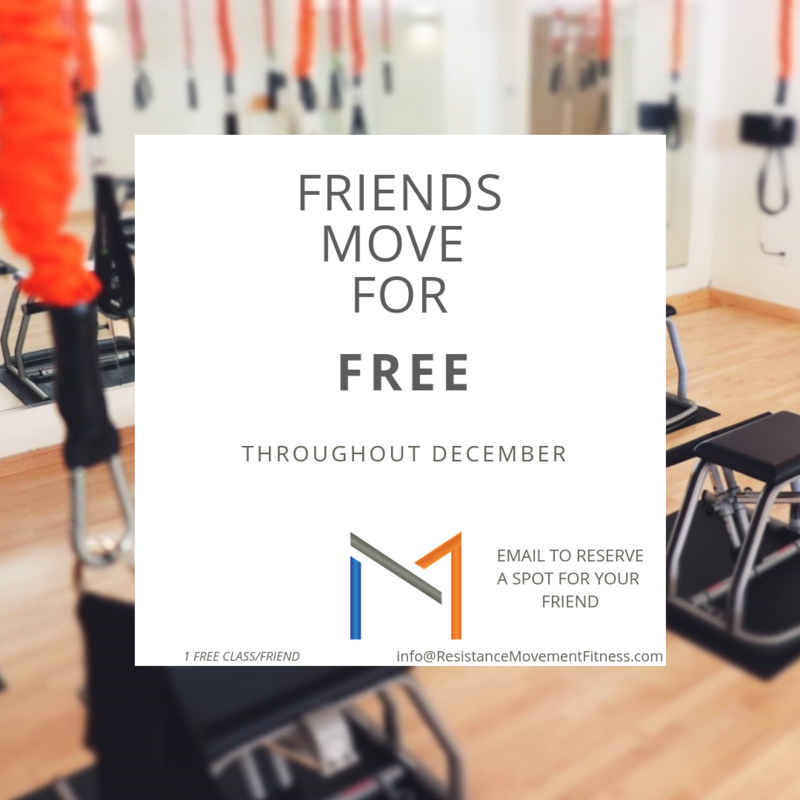 Bring your friends, family or partner for a free class throughout December. Remember, if you bring another person and they purchase a package, you also get a FREE class. It’s that simple, bring a friend, show them how awesome we are and why you love us, and both of you reap the benefits! Remember space is limited, especially for getSTRONG, call or email to reserve your friends’ space today! *The friend can’t have come to The Resistance Movement before.